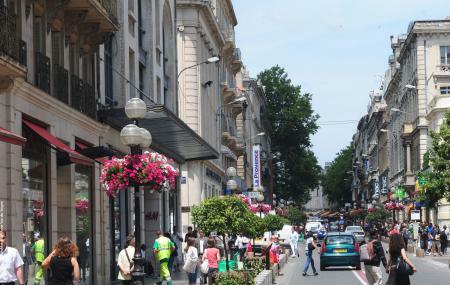 Rue de la Republique is a bustling street and belongs to a zone classified as World Heritage Site by UNESCO. It is a very popular place for shopping. There were three roads constructed, which connects Bellecour, and two squares made along Rude de la Republique. There are some cafes and restaurants surrounding this place brighten up the street making it a perfect hangout in Avignon. Subway Series A to Cordeliers Bourse. How popular is Rue De La Republique? People normally club together Eglise Saint Pierre and Street Of Dyers while planning their visit to Rue De La Republique.